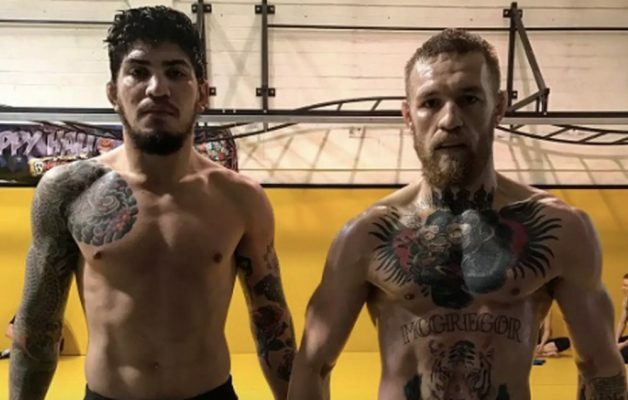 Dillon Danis is ready to start his mixed martial arts career. The accomplished grappler who came into the spotlight back in 2016 while working alongside UFC lightweight champion Conor McGregor is set to make his MMA debut at Bellator 198 on April 28. Danis will face Kyle Walker (2-4) in his professional debut as the Brazilian jiu-jitsu black belt transitions from the grappling world to MMA after planning this move nearly two years ago. Walker has been submitted in his past two fights so it at least looks on paper like Bellator is giving Danis a very winnable matchup for his first trip inside the cage. Then again, Bellator saw another super prospect, Aaron Pico, suffer a stunning defeat in his first fight so there’s no telling what can happen once that cage door closes. Danis will prepare for his Bellator debut at SBG in Ireland where he will train alongside McGregor as he gets ready for his new career in MMA. Danis vs. Walker joins a big line up headed to Allstate Arena including the main event, which will see former UFC champion Frank Mir take on Fedor Emelianenko in the opening round of the Bellator Heavyweight Grand Prix.